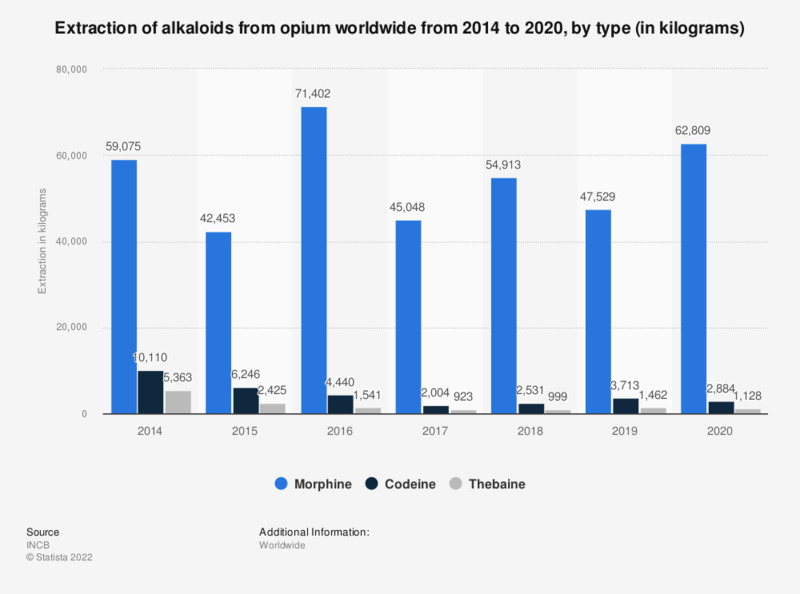 This statistic describes the extraction of alkaloids from opium globally from 2009 to 2016, by type of alkaloid. In 2010, there was 70,548 kilograms of morphine extracted worldwide. Global consumption of this drug has grown by almost a factor of six between 1991 and 2010. Differences around the world in consumption levels of morphine for pain treatment are due to economic, knowledge, and regulatory factors.